As you pass over the Manatee or Cortez Bridges and see sparkling water and swaying palms, you'll realize you're on vacation in old Florida, the way it was when you were young! This is a place where visitors and residents are as likely to travel by bike or golf cart as they are to hop in their car. 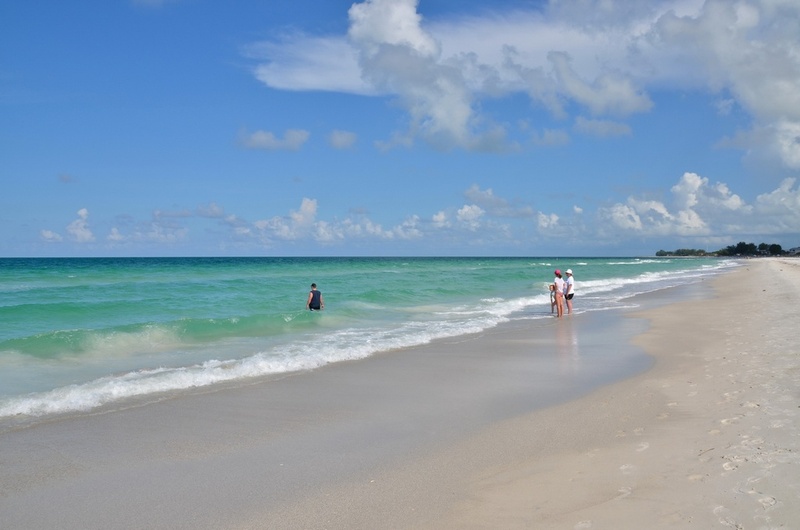 Your home for your old-fashioned Florida vacation? 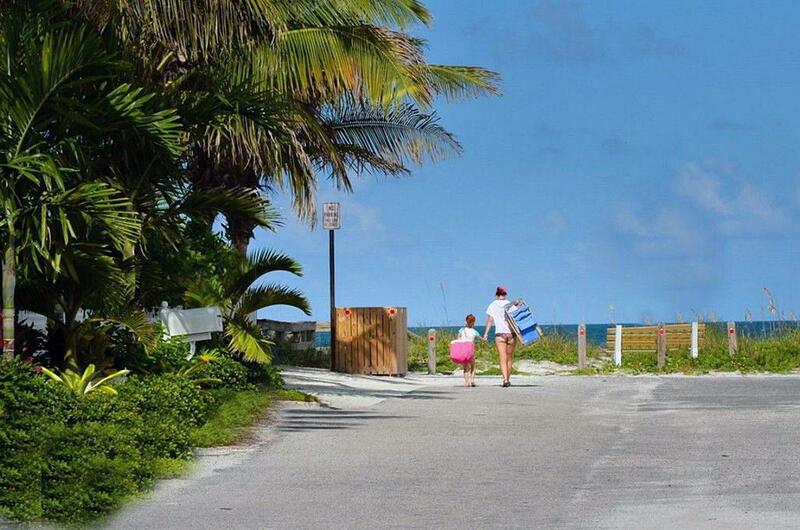 Just "Seven Doors Down" from the beaches of Anna Maria Island! 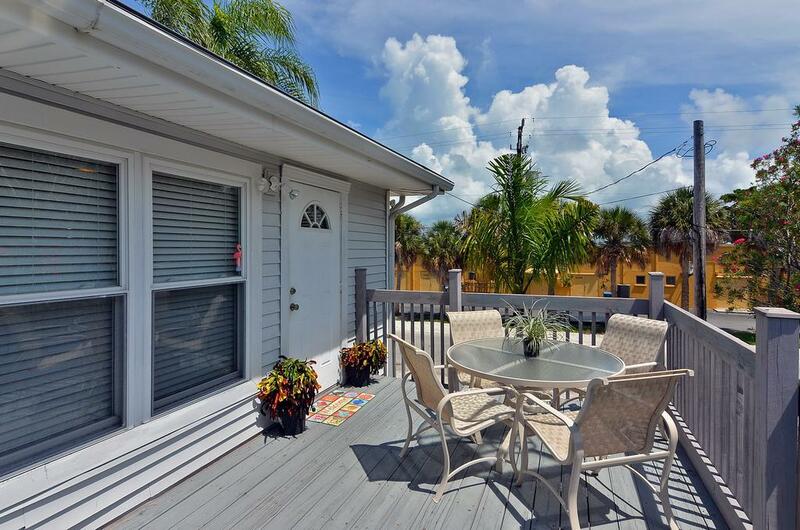 Not only is this charming elevated duplex just Seven Doors Down from the beautiful beaches of Anna Maria, it's also just a stone's throw from restaurants, shopping, a marina, and the Anna Maria Island Library! Additionally, it's very close to stops for the free Island Trolley, which runs the length of the Island seven days a week from 6 am to 10 pm. As long as you have your shoes, you can ride for free. 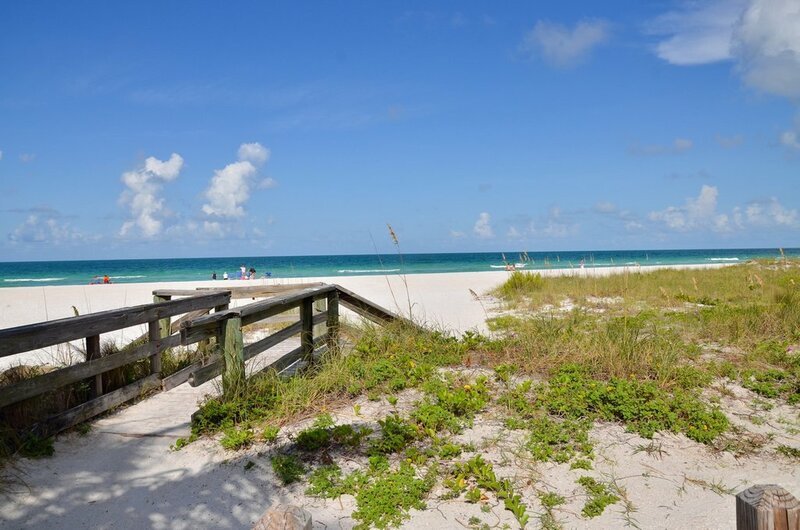 If you'd like to take a break from driving and leave your car in the driveway when you're ready to explore, this may be the very best location on the Island! But don't worry -- you won't be sacrificing amenities for the sake of location. 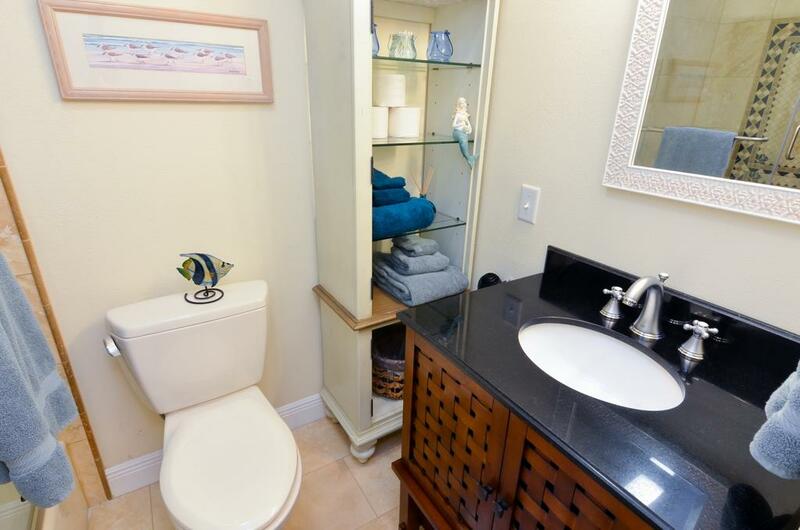 The owners have recently remodeled the entire unit with your needs in mind. 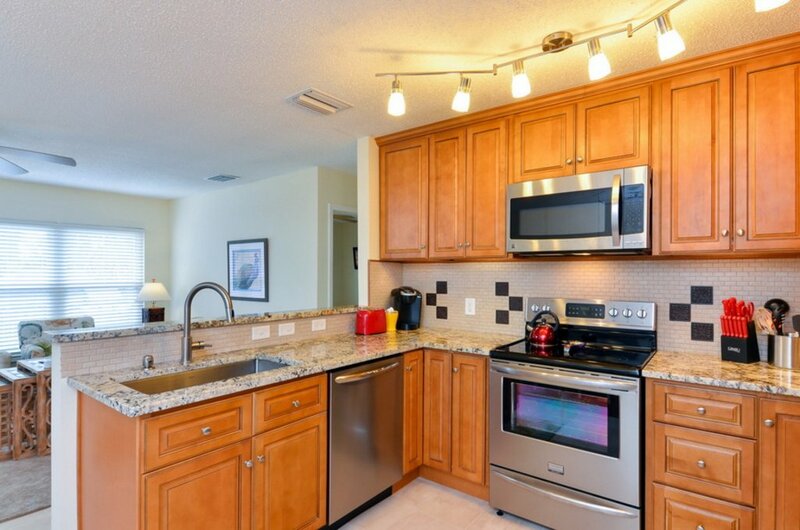 A spacious open floor plan features a fully equipped kitchen with granite countertops and stainless appliances, along with smaller items like a Keurig coffee maker for the mornings, and a blender for margaritas in the afternoon. When you're in the mood to dine at home, you'll find meal preparation a breeze! Down the hall, there is a laundry room with a high-efficiency washer and dryer. Next stop is the practical and charming hall bath shared by two of the three bedrooms. Each of the first two bedrooms is equipped with a queen bed, ceiling fan, night stands with lamps for comfortable reading in bed, and a flat-panel smart LED TV. At the end of the hall is the Master Bedroom with a king-size bed, lamps for reading, a ceiling fan, another flat-panel smart LED TV, and an en suite bath with walk-in shower. Back in the comfortable living area, your family can have loads of fun watching movies on the large flat-panel smart LED TV, playing games around the dining table, or enjoying preparing a meal together. 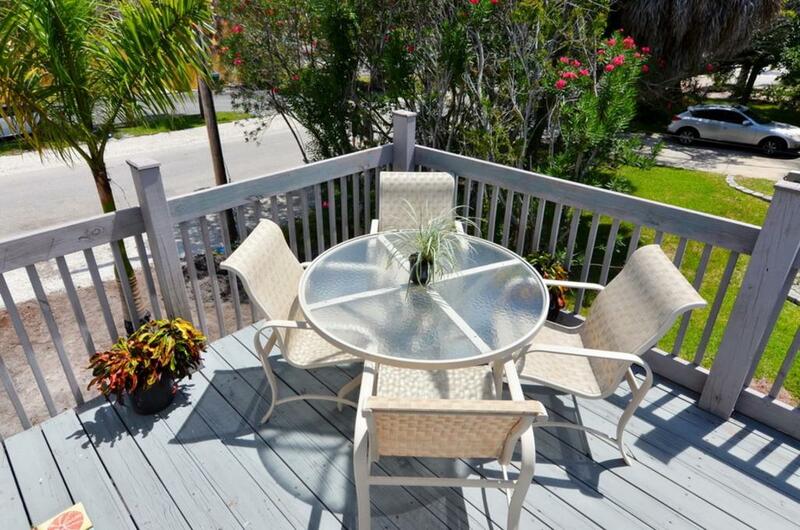 If you enjoy market-fresh meals, you can head to the nearby fishing village of Cortez to pick up some seafood then cook it on the gas grill located on this unit's large open deck. 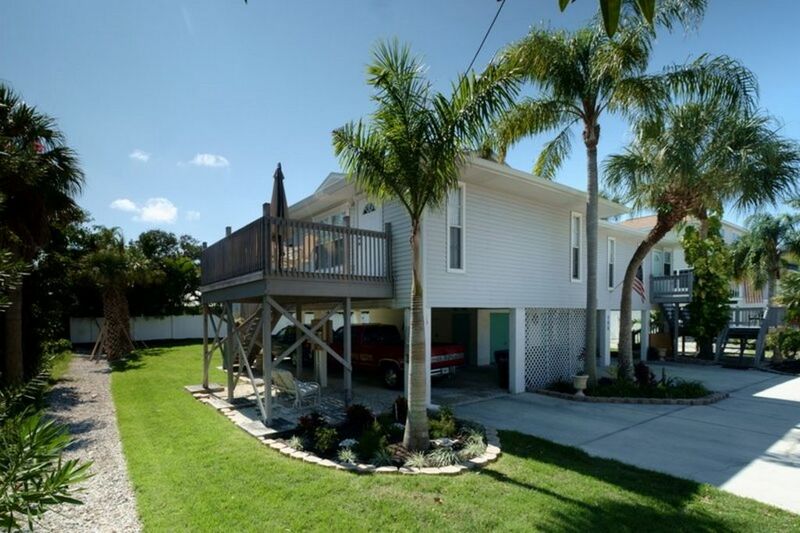 Seven Doors Down has been attractively decorated with appreciation for its island location, and you'll find it full of all the amenities you want in a vacation home with a price point that will have you coming back again and again! 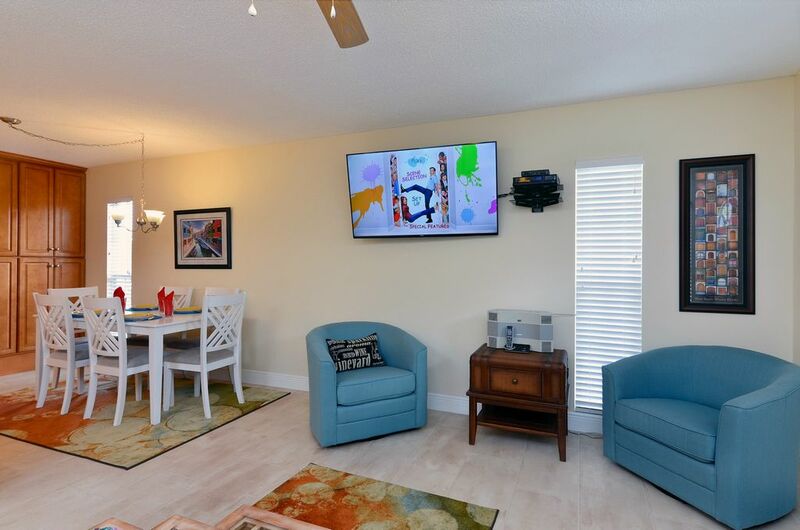 So relax and enjoy an affordable vacation in a terrific location...hurry up and get here so you can stroll Seven Doors Down and catch a beautiful sunset! Need to accommodate a larger group? Rent the other side of the duplex, One Step Closer, and have lots of room for 10 people! The unit had everything to make a beach vacation memorable. 5 Stars !!!!! We appreciated the beach wagon, chairs, toys. The unit was comfortably furnished and we all slept well in the 3 beds. 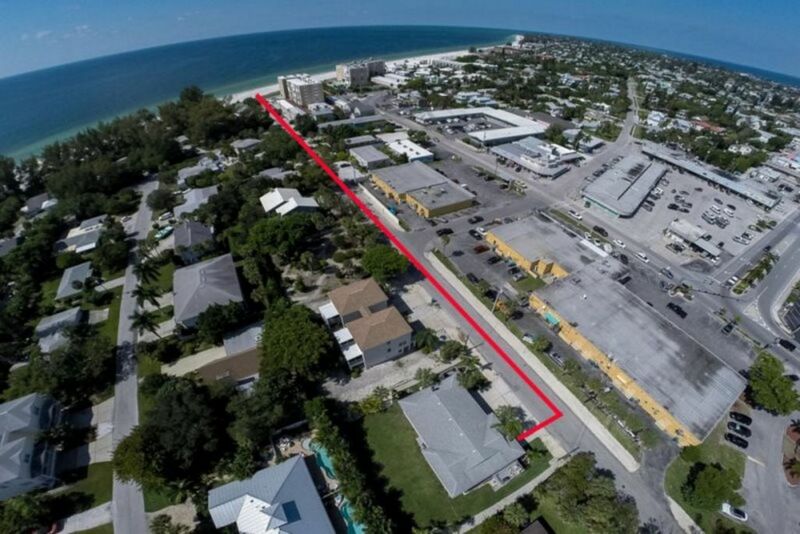 Walking distance to the beach and to businesses, and a bike ride away to just about anywhere. We knew from our online searching that 7 Doors Down was amazing! What we didn't learn from those online searches was just how amazing! 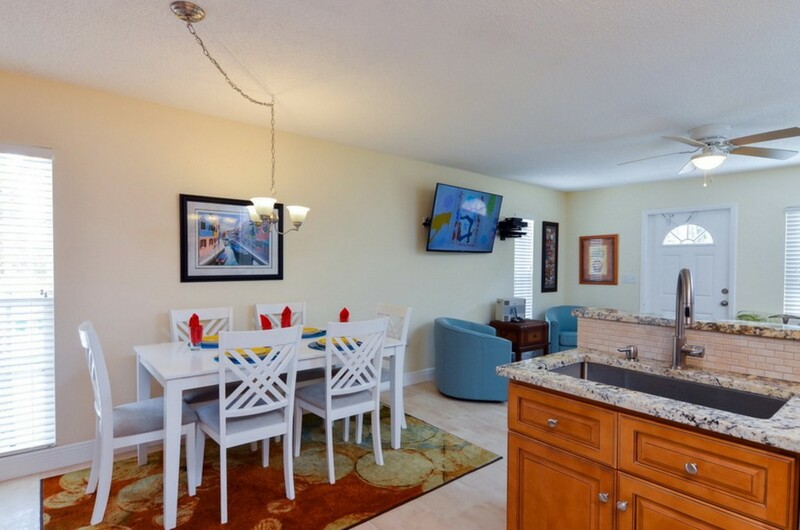 It is the perfect location from the beach as well as a block walking distance from restaurants, fresh fish market, shopping, etc Plus the condo is fully stocked with everything you will need to make your stay complete. We are already planning our next vacay to Holmes Beach and 7 Doors Down. See ya soon! 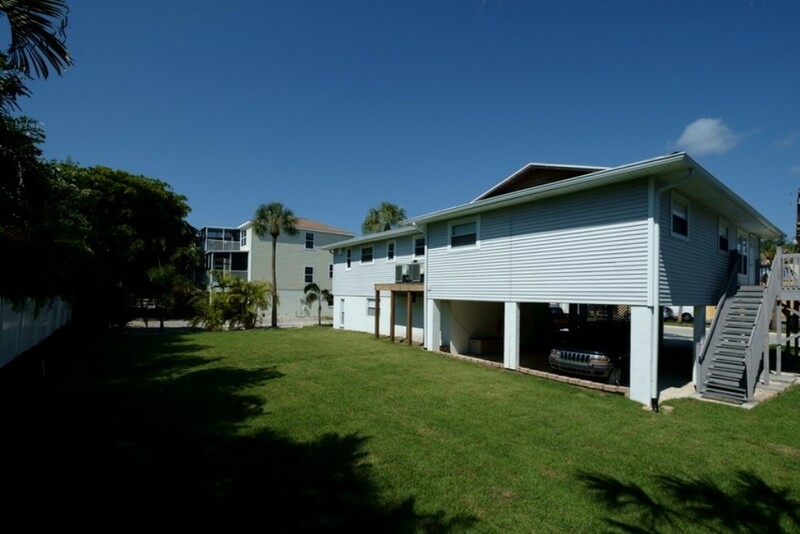 We cannot say enough about our stay at this property! It was recently remodeled and has all the amenities -- right down to beach chairs, umbrella and beach wagon. The three bedrooms (with very comfortable mattresses, I might add) were roomy and more than adequate. 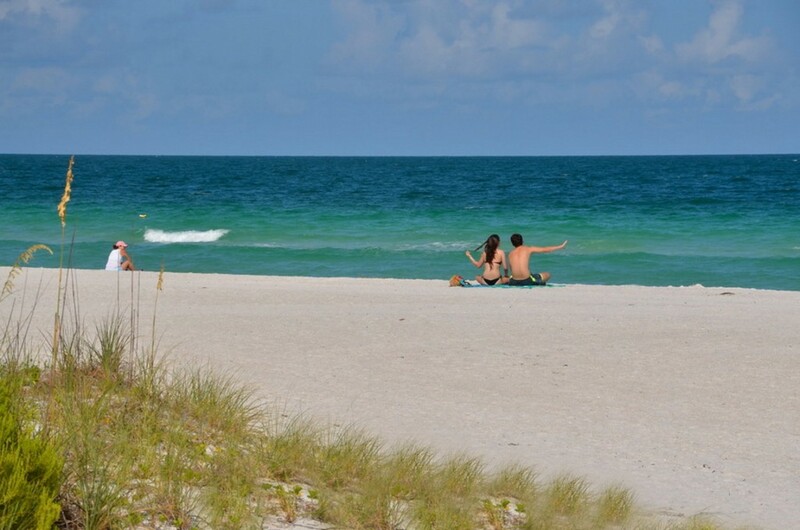 The beach is a short 5 minute walk away, which is perfect for watching the magnificent sunsets! The kitchen had everything possible needed to create wonderful dinners right down to the kitchen utensils. 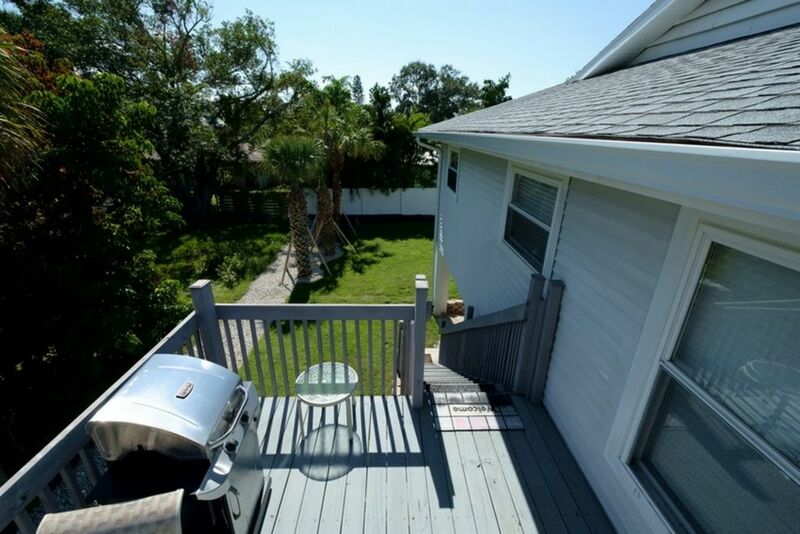 There is a gas grill on the deck with a large table and umbrella. Having two full baths was great and they have been recently remodeled. There are plenty of towels (including beach towels) and linens, negating the need to bring them. There is a laundry room with a full-size washer and dryer. They thought of everything: DVDs, cards and tvs in all the bedrooms. I should add that the unit was spotless! The listing was just as they described and we are scheduled to return next year. 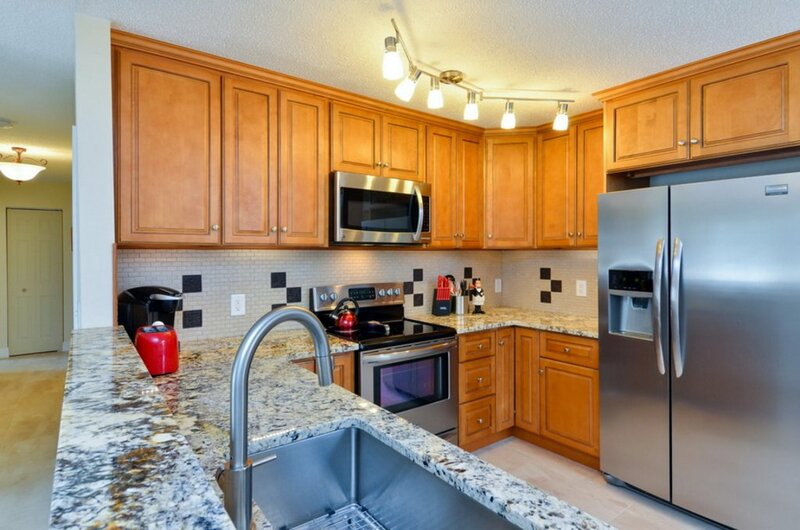 The unit is in a perfect location; it is within walking distance to many restaurants and little shops. This place is definitely a "home away from home".